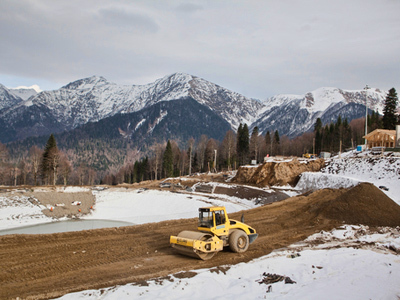 Major companies building sporting facilities for the 2014 Winter Olympic Games in Sochi followed UN recommendations on Wednesday and signed a declaration to protect the local ecosystem. Signatories to the document preserving the ecosystem of the Mzymta River included gas giant Gazprom, Russian Railways and the local administration, the RIA news agency reports. The signing ceremony was attended by officials of the UN Environment Program. Head of the Sochi 2014 organizing committee Dmitry Chernyshenko stressed international examinations of the environment in the area have been a "unique asset" for Russia, where "green standards" began to be applied only recently. Earlier this week, Chairman of the International Olympic Committee (IOC) Jean-Claude Killy and Executive Director for Olympic Games Gilbert Felli visited Sochi and praised the city’s progress. 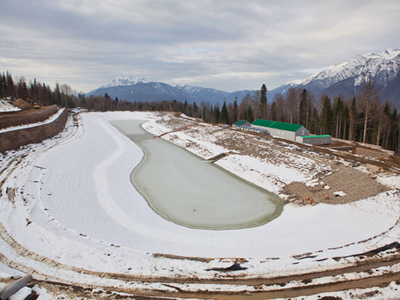 Killy marked the proximity of all sporting facilities in Sochi, which he believes would make it easier for athletes and spectators to move around. At a news conference on Wednesday Killy also said construction of venues is proceeding at an impressive pace. “As far as we are concerned, and according to our experts, everything is going according to plan,'' he stated adding that he wouldn't have said that last year.